NEO a punto de TERMINAR su corrección! 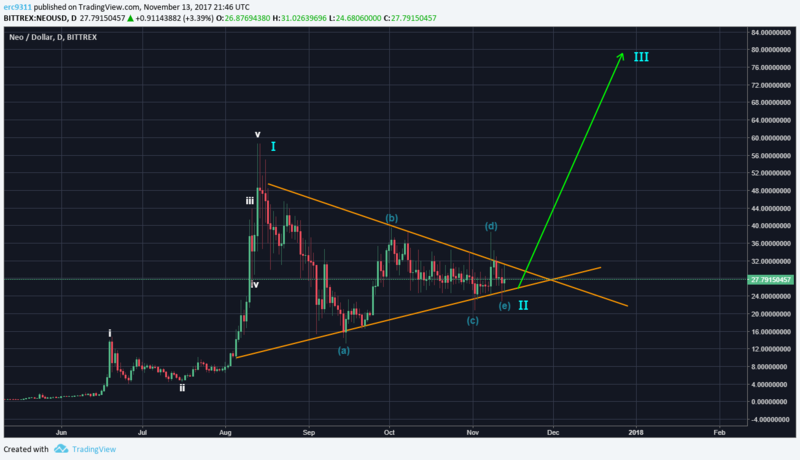 Una larga corrección de la forma de un Triangulo Simétrico ABCDE está pronta a finalizar, y la proyección para NEO es muy alcista! Estando las ONDAS I y II LISTAS, una probable ONDA III nos lleve alrededor de $80! Eso es un 180% de ROI! Congratulations! This post has been upvoted from the communal account, @minnowsupport, by erc11 from the Minnow Support Project. It's a witness project run by aggroed, ausbitbank, teamsteem, theprophet0, someguy123, neoxian, followbtcnews/crimsonclad, and netuoso. The goal is to help Steemit grow by supporting Minnows and creating a social network. Please find us in the Peace, Abundance, and Liberty Network (PALnet) Discord Channel. It's a completely public and open space to all members of the Steemit community who voluntarily choose to be there.